All Pikes Peak Center guests are expected to maintain reasonable and appropriate behavior at all times. Any behavior defying the Venue policies as determined by facility management can result in ejection and possible arrest by the Colorado Springs Police Department and/or El Paso County Sheriff. Ejected guests will not receive a refund for their tickets or be compensated in any way. Pikes Peak Center management reserves the right to deny entry or eject from the premise/grounds guests displaying inappropriate behavior as determined by facility/event management. All persons entering the Pikes Peak Center voluntarily assume all risks and dangers incidental to any event. All programs, dates, and times are subject to change without notice. All sales are final. There are no refunds or exchanges. Reselling of tickets at any value is prohibited in or on premise/grounds. The Pikes Peak Center is sensitive to the needs of physically challenged individuals, both in the design of the Arena and its policies. Seating for the physically challenged is available at all price levels for all events. Please contact the nearest Guest Services Attendant, Supervisor or Security Staff member. The use of video and/or audio recorders is generally prohibited for all events. Individual conduct must be bound by law and the rights of others to enjoy the event. Guest behavior cannot unreasonably offend others or be unreasonably abusive to other guests, players, officials or performers. Venue staff reserves the right to eject patrons whose behavior seriously affects the ability of others to enjoy the event. Please notify Guest Services Attendant or Supervisor immediately if any such problem occurs. For all events camera policy is determined on an event-by event basis by the Artist’s tour management. 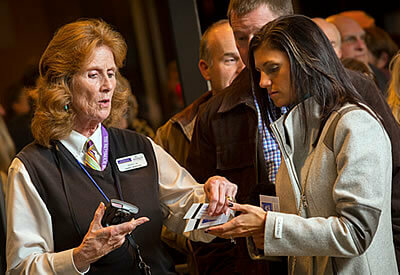 For up-to-date information on the camera policy for the specific event you are attending, please visit the show’s information page on the Pikes Peak Center’s website the day before the event or e-mail your specific inquiry to us by going to The Broadmoor World Arena’s webpage click on guest services, click on contact us and send your question. Audio recording and video recording (including cell phones) is prohibited. The Pikes Peak Center’s management reserves the right to require guests immediately check devices that were not detected at the point of entry. Guests will be directed to designated Receptionist or Customer Service area for device check-in and will be given a claim ticket for retrieval of the device at the conclusion of the event. Cans, bottles, thermos-type containers and coolers are not allowed in the Pikes Peak Center. Please see Prohibited Items additional item restrictions. Please power off, or set volume to vibrate, all cell phones and pagers prior to entering the facility. For most events children age 2 and up are required to purchase a ticket, although some events may require children as young as 1 year to purchase a ticket. Check the event listing for event specific information. There are wheelchair accessible ticketing windows located at the Box Office along with an automatic door for access to the indoor windows. A ramp is located outside the facility for easy accessibility. All restrooms are accessible to persons with disabilities. Parking Spaces are available for those with a valid disability permit. Concession counters are at a height comfortable for all guests. There are disabled wheelchair and companion seats as well as easily accessible seats available in the Pikes Peak Center. Each wheelchair accessible seat includes the option to purchase at least one (1) companion seat immediately adjacent to the wheelchair location, and, subject to availability at the time of purchase, up to a total of three (3) companion seats in the same row, unless ticket sales for any particular event are limited to fewer than four (4) total tickets for all purchasers. The Pikes Peak Center reserves the right to address fraudulent purchases for accessible seating to the extent provided by law including, with respect to single event ticket purchases, asking the purchaser if they, or someone for whom they are purchasing, has a mobility disability that requires the use of a wheelchair space. With respect to season tickets, we may ask the purchaser to attest in writing that they, or the person for whom they are purchasing, as a mobility disability that requires the use of a wheelchair space. ADA ticket fraud includes, but is not limited to, the misrepresentation of a disability. Management reserves the right to take appropriate action regarding misrepresentation which may result in relocation or revocation of tickets and ejection. Guests who require wheelchair seating must provide their own wheelchair. Unsold disability seating may be released for public sale. For most events doors open 60 minutes before start time of the performance. No outside food, beverages or alcohol may be brought into the Pikes Peak Center. Guests are expected to follow all laws governing the purchase, possession, and consumption of alcohol. A valid I.D. is required for purchase of alcohol. Guests are responsible for their own drinking and are expected to drink responsibly. It is the responsibility of the guest to ensure they have a safe means of transportation when leaving the facility. At the discretion of management, all beverages will be poured into plastic cups and bottle tops will be removed from all plastic bottles. No alcohol is allowed to leave the facility. Guests attempting to leave with alcohol will have the alcohol immediately confiscated. The Pikes Peak Center Management reserves the right to eject and have cited any individuals under the age of twenty one (21) who illegally purchase, posses, or consume alcohol or are visibly intoxicated. Individuals providing alcohol to those under twenty one (21) will also be ejected and subject to citation. Alcohol Sales at Concerts & Other Events: All alcohol sales will cease after intermission or at Management discretion. Some events may be designated as ‘non-alcohol’ events and will not be served. Food and Beverage Sales at all Events: Will end shortly after intermission or at the discretion of building management. All laser pens or laser instruments are prohibited. Fans with such objects are subject to ejection from the building as well as confiscation and disposal of the object. Lost single event/game tickets may not be replaced. Season tickets that are lost or left at home may be replaced, provided the ticket holder and seat location can be verified. Stolen tickets may be replaced for the face value of the tickets provided the Box Office receives a copy of an official Police Report and if the seat location can be verified. Only tickets purchased from TicketsWest, The Broadmoor World Arena Box Office or the Pikes Peak Center Box Office and/or its affiliates can be guaranteed as authentic. Guests should be aware tickets purchases from other parties/sources, even if the seller claims they were originally purchased through TicketsWest, The Broadmoor World Arena Box Office or the Pikes Peak Center Box Office and/or it affiliates, may be invalid due to fraud or duplication. No extraneous noise-making devices shall be permitted inside the facility/on the grounds. These items include, but are not limited to: horns, whistles, air horns, cymbals, cow bells, bugles. Public paging of patrons is not available. In case of an emergency, the management staff will attempt to locate a patron if an exact section, row and seat number is provided. Please contact 719-477-2100 during event hours for information. Pikes Peak Center shall not be responsible for loss or damage to the vehicle, its accessories or contents resulting from theft, vandalism, fire or any other cause. Please lock your vehicle. No employee or agent of the Colorado Springs World Arena can change this agreement. If the holder does not agree to these conditions the holder may immediately exit this lot at no charge. Weapons: Guests are prohibited from bringing any weapons on premise/grounds. Weapons include, but are not limited to firearms, explosives, stun guns, handcuffs, brass knuckles, sticks, clubs, batons, pepper spray, tear gas and knives. Guests with concealed weapons permits are prohibited from bringing weapons on premise/grounds. As of 12/12: Additional prohibited items: The following items may not be brought into or onto the premise/grounds: Selfie Sticks, any outside food or beverages, alcoholic beverages, marijuana (legal or medical), illegal or illicit drugs, glass bottles or aluminum cans, coolers, thermos containers, bota bags or wine skins, bullhorns/whistles or noise makers, laser pointers/pens, framed backpacks, confetti, beach balls and other inflatables, skateboards or rollerblades, stools or folding chairs, water bottles or mugs, pets or animals (with the exception of service animals) and cameras and recording devices determined by event. Possession of prohibited items will result in confiscation and disposal of such item. All persons entering the premise/ground are subject to bag and purse checks, and in some cases magnetic wanding and guest searches. Failure to comply will result in denied entry. The Pikes Peak Center has a no re-entry policy. Once you leave the facility during an event you will not be permitted to return. Exceptions may occur for special events and for designated smoking areas. The sign/banner does not impair the view of any guest. Information contained on the sign/banner is not of the nature that could be construed as vulgar, offensive, graphic or outside of what the community standard would consider in “good taste”. Permission to hang a banner has been granted in writing by The Broadmoor World Arena’s Administrative Office. Service animals trained to work or perform tasks for guests with a disability are welcome inside the Pikes Peak Center. All service animals must remain on a leash or be otherwise harnessed. Guests are expected to wear shoes/footwear at all times. Guests not wearing shoes/footwear may be ejected at management discretion. Use of shoes with wheels or roller shoes is prohibited. Roller shoes pose safety dangers to those wearing them and others. The State of Colorado has smoke-free regulations and the Pikes Peak Center is a non-smoking facility, except within designated outside smoking areas. All indoor areas are classified as non-smoking. In addition, smoking is not allowed within 15 feet of an establishment’s doorways. Guests leaving the facility to smoke in a designated area must have their ticket stub to obtain re-entry to the facility. Smoking of legal/medical marijuana is prohibited on the premise/grounds. Smoking of ANY illegal substance is prohibited. Smoking is also defined to include any and all electronic cigarettes, e-cigarettes or water vapor cigarettes. Unauthorized soliciting or collecting of contributions, vending, distribution of fliers, pamphlets, business cards or other promotional/advertising material (literature) is prohibited on the premises/grounds. Guests found to be marketing as determined by management may be subject to ejection from premise/grounds. Guests found passing out literature will be asked to collect all pieces of marketing handed out and disposed of in the trash. Any additional pieces found make the guest/company subject to the billing for clean-up costs. Guests found marketing on premise/grounds may be cited with trespassing. Tailgating or similar activities is prohibited in or on the premises/grounds. Are located throughout the Pikes Peak Center. Please respect the venue advertising obligations and do not change the channels but rather ask a Guest Services Attendant or Supervisor for the event guidelines. For the safety of all, patrons must refrain from throwing any object in the stands or onto the playing or performing surface. Patrons who do not comply may be ejected from the facility and asked to leave the premise/grounds. Exceptions may occur for special promotions. Holder voluntarily assumes all risks and danger incidental to the event for which the ticket is issued, whether occurring prior to, during or after the event. Holder voluntarily agrees that the Management Facility, League, Participants, Participating Clubs, TicketsWest, and all of their Respective Agents, Officers, Directors, Owners and Employees are expressly released by Holder from any claims arising from such causes. In the event of a cancellation or rescheduling of the applicable event, Management shall not be required to issue a refund provided that you are given the right, within twelve months of the date of the original event, to attend a rescheduled performance of the same event or to exchange this ticket for a ticket , comparable in price and location, to another similar event as designated by Management except as otherwise provided by law. Certain maximum resale premiums and restrictions may apply in the State, Province or Locality in which the event and/or the resale takes place. Certain States, Provinces, and Localities may have additional restrictions pertaining to the resale of tickets/admission. Consult all statutes and regulations prior to engaging in resale activities. Management reserves the right, without the refund of any portion of the ticket purchase price, to refuse admission to or eject any person whose conduct is deemed by management to be disorderly, who uses vulgar or abusive language or who fails to comply with these or other management rules. Breach of any of the foregoing will automatically terminate this license. NO REFUNDS, NO EXCHANGES EXCEPT AS PROVIDED HEREIN. EVENT DATE AND TIME SUBJECT TO CHANGE. ALL RIGHTS SERVED. This ticket is a revocable license and admission may be refused upon refunding the face amount of the ticket. Unlawful resale or attempted resale is grounds for seizure and cancellation without compensation. Tickets obtained from unauthorized sources may be lost, stolen or counterfeit, and if so, are void. Holder agrees by use of this ticket, not to transmit or aid in transmitting any description, account, picture or reproduction of the game, performance, exhibition or event for which this ticket is issued. Holder acknowledges that the event may be broadcast or otherwise publicized, and hereby grants permission to utilize holder’s image or likeness in connection with any live or recorded transmission or reproduction of such event. In conformance with some local requirements or certain facility rules, alcoholic beverages, illegal drugs, controlled substances, cameras, recording devices, bundles and containers of any kind may not be brought into the premises. Some facilities may enforce additional restrictions to other items including, but not limited to bags, backpacks, umbrellas, baby carriers, strollers, signs and banners. Please consult all venue/facility/locality regulations prior to attendance at the event. The barcode printed on this ticket will allow one single entry to an event (unless otherwise indicated). Holder is responsible for the safeguard of this ticket. TicketsWest, its partners and its clients cannot be held responsible for denial of entry due to reproduction of this ticket. This ticket is not redeemable for cash. It is unlawful to reproduce this ticket in any form. Unless indicated otherwise, prices include all applicable taxes and/or cash discounts (if available).